RV's can enter at either North Gate or the South Gate. The North Gate is a little closer to the FamCamp. ---- NORTH GATE: Exit I-25 at exit 156 onto North Gate Blvd. heading West (to the Academy). Once through the gate, go about 1 mile and turn left at the B-52 display onto Stadium Blvd. Go about 1.3 miles to Academy Drive on your right - but turn left off Stadium Blvd. then an immediate left to the campground. ---- SOUTH GATE: Exit I-25 at exit 150 onto South Gate Blvd. Travel Northwest approx. 2.5 miles. After crossing the bridge over the railroad tracks, South Gate Blvd then curves to the right, which turns into Stadium Blvd. Follow Stadium Blvd approximately 2 miles to campground entrance across from Academy Dr. Turn right off Stadium Blvd. then an immediate left to the campground. Active, National Guard, Reservists, Retired, 100% DAV, Cadets, DoD Civilians, Guests. Year round, depending on weather conditions. 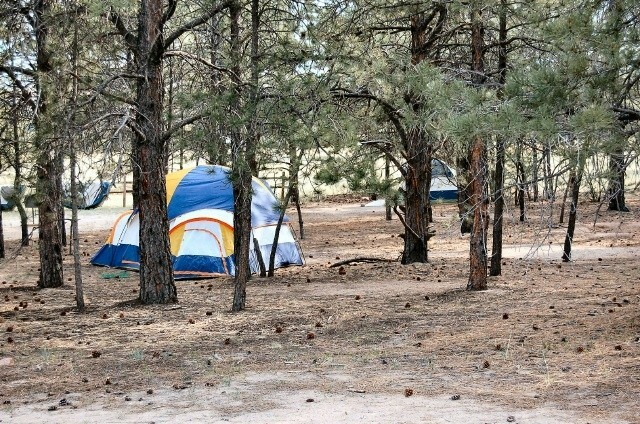 Reservations for camping are highly recommended for May 1 through Oct. 7, and can be made only by eligible patrons. 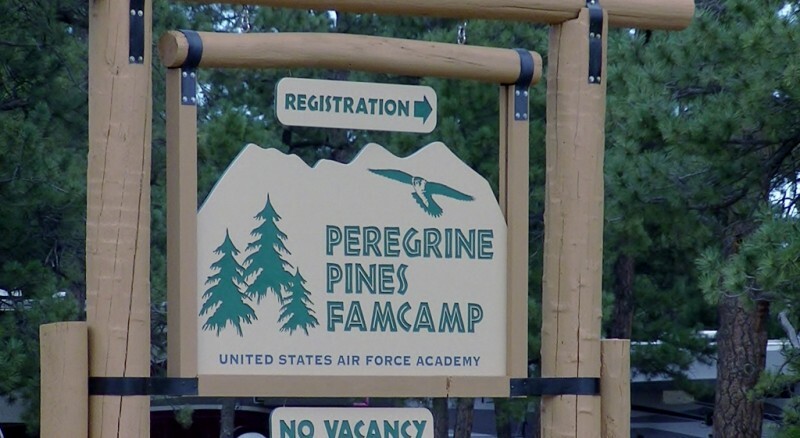 Reservations are accepted up to 90 days prior to arrival for Active Duty and 60 days for all other eligible users by calling Peregrine Pines FamCamp at (719) 333-4980, 7 days a week, Sun - Thur 9am -6pm and Fri/Sat - 9am -8pm through Oct 3, 2017. Campers are charged per night per site. There is no discount for weekly or monthly stays. Check in time is 12 noon with check out at 11 a.m. Reservations will be held until 9 a.m. the next day; after that time the reservation is considered cancelled. Failure to show up or cancel a reservation may result in a one-night cancellation fee. If you do not notify Famcamp within 48 hours that you would like to cancel, a one night fee may be charged. Free MIFI Hot Spots located at the 2 bathhouses and the office. If anyone wants to rent a MIFI for their RV they can do so at the office for $5/day, $25 week and $60 for a 30 day stay. Verizon EVDO, Sprint, and AT&T Broadband cards work in the campground. Normal leash and clean-up rules. Pet clean up bags are located on some of the dumpster stations in the park. All pets staying longer than a 2 week period must be registered within 10 days of arrival at the Base Veterinary Services. Ask for instructions during check-in. Rates are based on length of your RV and military status. 34' and shorter and military/DOD have the lowest rates. 35' and longer and civilian guest have the highest rates. Max stay limit of 30 days between May 1st - Oct. 7th. Unlimited stay during winter. Tents and Guests are limited to a 14-day stay. Winter rates are Oct. 1 through March 31. $5 additional charge for sponsored guests in their own RV site. $3 additional charge for sponsored guests in tent sites. Summer is May 1 - Oct 3, 2017. Winter is Oct 3, 2017 - March 31, 2018. Monthly rate during the winter based on calendar month and prorated if arriving outside of the 1st day of the calendar month. See rate at office for winter rates. Ask office for which sites can get satellite signal. Dates and rates of opening and closing may vary at the FamCamp due to Air Force Academy requirements. Please check with Peregrine Pines FamCamp for actual dates and rates for the present year. The office is open Sun - Thurs 9am until 6pm, Fri - Sat 9am - 8pm. These hours are effective May 1 - Oct 7, 2017. Late arrivals will be contacted by the campground Staff and notified where they can find their welcome packet and then come into the office the following day to sign and pay. 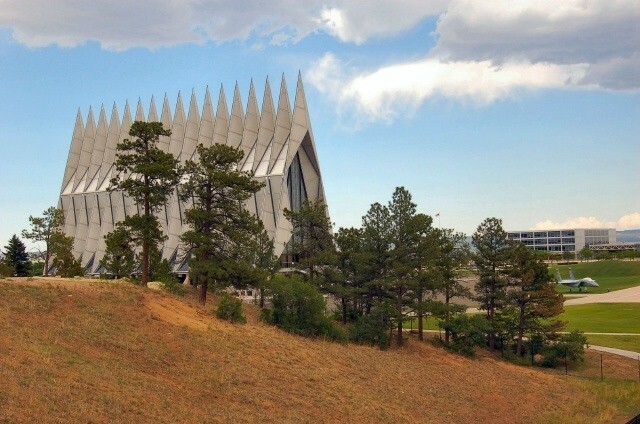 USAF Academy, Cadet Chapel, Visitors center, Volleyball. Guns are prohibited in the campground and on the Air Force Academy. Guests must stop at the Southgate (exit 150) and declare their weapon. They will then be escorted down to security forces where it will be tagged and locked in security forces locker. 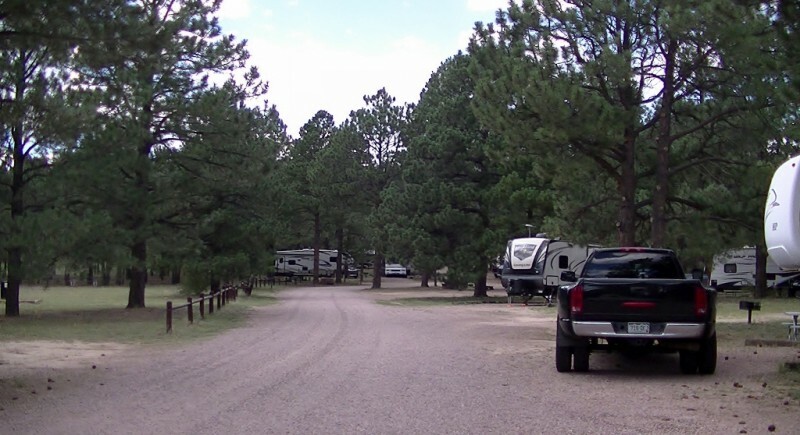 If a gun is found in the campground, the guest will be asked to leave immediately. The camp has 105 wooded sites for camping, all with electrical, water and sewage hookups. There are also 8 tent sites. In addition, there are picnic tables, barbecue grills, trash receptacles, level parking spaces and many pull-through sites. There are additional primitive camping sites with a water station. 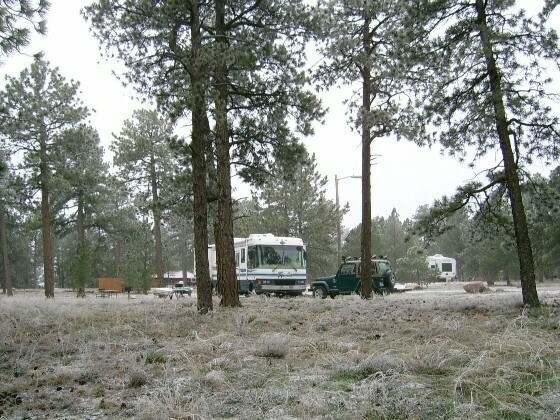 The FamCamp is open year-round depending on weather conditions. 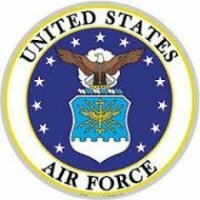 USAFA famcamp is being mismanaged. There are signs telling the user (Us) to help out and clean up. Interesting how there are 30-40 of us RV’rs paying $590 a month (winter rates) you’d think they could find someone to clean the bathrooms for 3-4 hrs a day for 15/hr!!!! Kinda makes you wonder why we pay fees to use the facilities since they are NON-Appropriated funds which keeps it open! Also, mis-management doesn’t like it if you are connected to water if it’s 32degrees or lower, never mind the Iowa farmers use these same water spigots year round, if you are connected she’ll charge you $50 when the rounds are made at 9am! I put up with these nitwits as they pretend work as tin cup dictators for 4 hours a day because when they are gone it’s a beautiful, quiet RV heaven even with the trains going by 5-6 per hour, winds are minimal if they do blow hard since the trees protect us and the stadium has a huge parking lot to run the pups! The trains don’t blow the whistle at all...like they used too- FYI, you will feel the rumble the further east you are and less to the west side of the camp! BX has a great amount of camping supplies in the back while The commissary has fantastic prices even with the 5% surcharge, I couldn’t believe it. I spoke with the manager there and apparently they had a come to Jesus moment a bit ago and realized that without us users -they don’t exist, so they adjusted their pricing model! Hmm, imagine that...capitalism at work, perhaps the commissary should school the famcamp since neither get appropriated monies and solely exist from a limited and dwindling user base without handouts to remain open! Time will tell! Local tv channels will bring 4 solid news/sports/weather, 1 full time weather and a healthy array of Spanish and NPR-snooze stations. If you dish or direct don’t worry, there’s plenty of places to park if you have roof mounted or portable- just see the list on the restroom info center glass box and each site shows you where is best for sat access. If you winter over there’s a cold spurt the first of December and end of Jan. Figure about 6 - 8 snow events a season with the moisture of the snow increasing starting in March since it’s warmer then, otherwise it’s dry fluffy snow single digits and teen temps-nights with Daytime its 30-40 and melts. Entrance to famcamp gets snow plowed but not inside the park, at least you can drive around to choose a site that gets south side facing exposure to the sun or completely surrounded by trees if you want but in the summer time your site is assigned. Lastly, the north gate will be under construction soon, the DOD is giving away 50ish acres to the host city to put in a boat load of hotels and shops to accommodate May graduation and their visitors so keep that in mind, also don’t forget that the north gate closes at 10PM daily- in/out traffic. Enjoy and hopefully this forum brings better service awareness and to not take advantage of we the users. Very nice experience. Came in the North Gate. The Security Police were very professional and explained how to get to the RV park. The site we reserved was the best. FHU and nothing but nice surroundings with nothing but tall trees. Coming in from Southern Arizona big pine trees are always a plus. Had heard the train would be a problem but honestly it wasn't bad at all. Will definitely come back. The Air Force Academy was spectacular. One very nice military park. Our first stay here but we will be back. Our gravel pull thru site was extra long and level. Lots of trees but we had no problem getting a sattelite signal. My ATT signal for my phone however wasn’t too great! So much space between sites and lots of open field to walk the dog. Commisaary and exchange are small but adequate. They are tearing down the chapel in January so I am glad we visited now. They say it will be 3-5 years before it is completely reconstructed. Great visitor center ( be sure to watch the film), propane at a very reasonable price and friendly and helpful staff. Picnic table at every site. Road are easy to navigate. Great place to stay and visit all the area attractions. 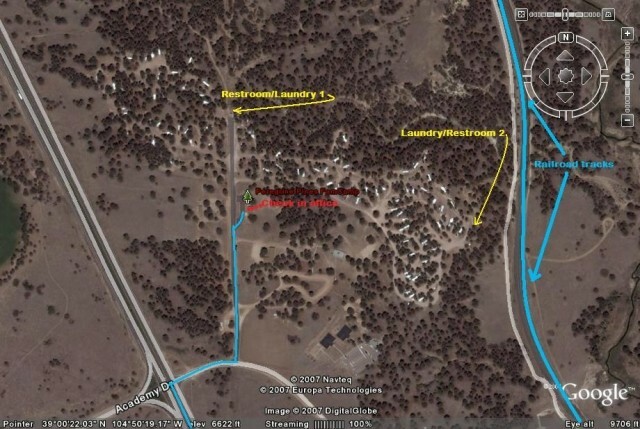 As others have noted and note to be repetitive - this is an excellent military campground. One tip to offer: The base Library is amazing and has a HUGE selection of DVD movies. Almost any movie you can think of is there. The Library offers a temporary library card so you can check out movies (5 at a time) or books. Since the campground does not have WIFI, movies from the library are a nice alternative. Library staff are awesome and also offers computer services for print documents or other admin. Library is located in the community center complex. Shhhh.... 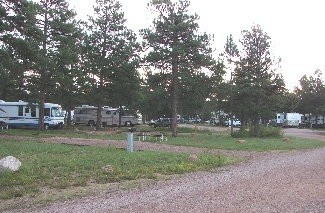 Peregrine is one of the best Military Campgrounds. 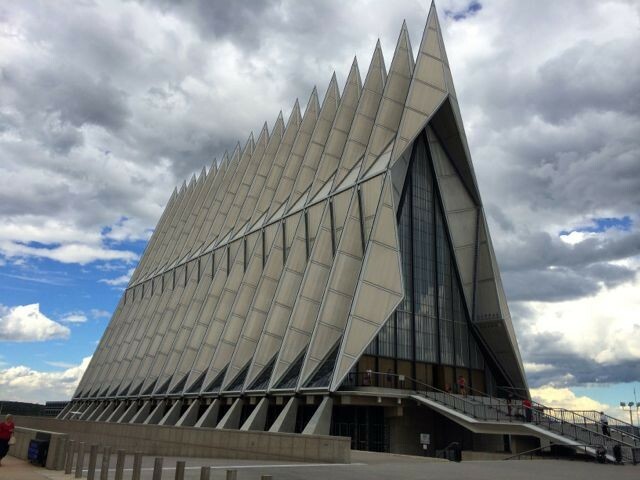 Even though it is located right across the street from the USAFA Football Stadium, it feels secluded. If you like to cycle, one can get an easy 30 miles in on Campus and the Eisenhower Golf Courses are championship quality. There is a Community Gym on campus which gets quite crowded. We did not attend, but Outdoor Rec offers a number of guided tours and trips. 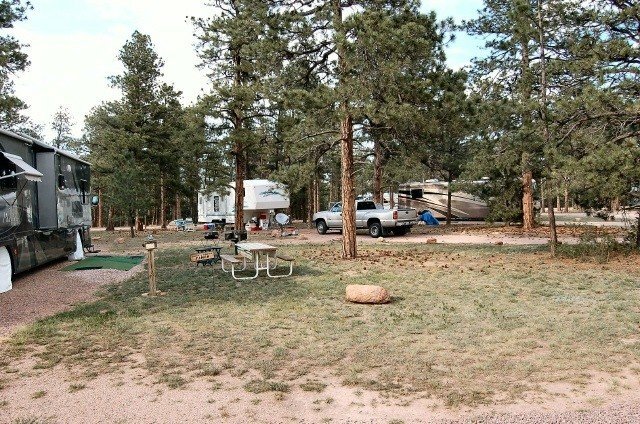 One of the best campgrounds we have stayed at! Lots of room at each site and the people staying here were very friendly. The train is a little bit bothersome, but not enough to keep us awake all night. 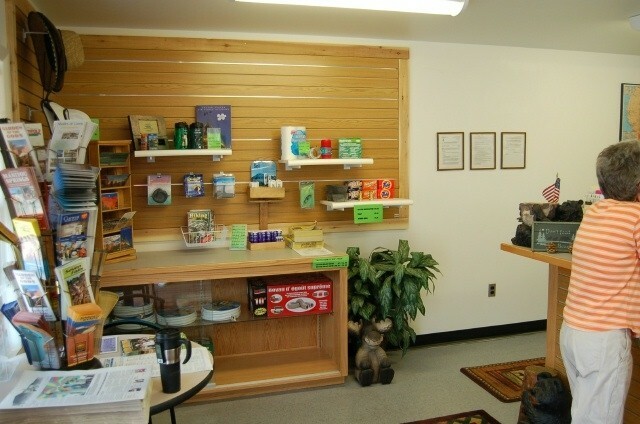 Restrooms and laundry room were clean and well maintained. Excellent camp. 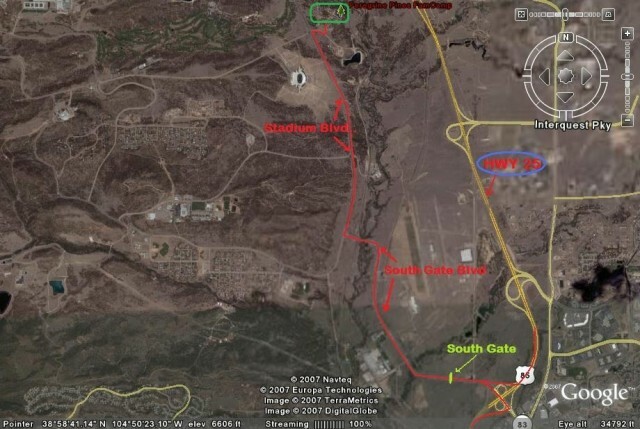 Closest entrance is the USAFA north gate off I-25 exit 156. Late night arrivals will probably have to use south gate as north gate may be closed late at night. I think we paid something like $25/night. We had site #7 gravel pull-through, fairly level with plenty of room for our 34' fifth wheel and truck; could have stayed connected if we had wanted to. Full hookups (we used 50 amp) and water pressure was high so regulator needed. I think some sites only had 30 amp power. Did not try WIFI but was told by staff that WIFI only worked near rec room facility. Verizon worked fine. May 1st was the beginning of the season and staff was a bit spun up over that. Apparently during the summer RV's are limited to one month stays. Staff was ready for huge influx as of 1 May. Winter camping is allowed but have to disconnect water if temp forecast to drop below 32 deg F. RV skirts not allowed for some reason or another. Pretty good medium-sized BX and commissary were not too far away (but not within walking distance). Outdoor rec near BX had hiking maps for base. Two excellent USAFA golf courses were nearby and open year round. Biggest problems we had were the loud train whistles at random times especially @ 0430. Train tracks run close by the camp. A pretty camp, well-shaded in the pines. We'll return. 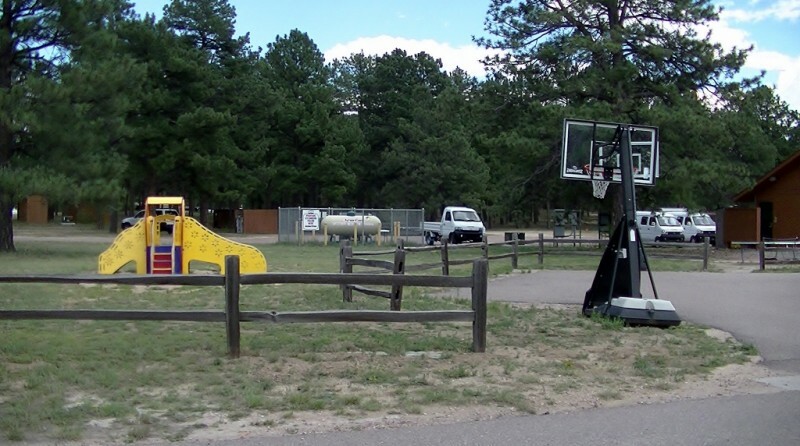 We enjoyed this park and the Colorado Springs area was great. However, the park is so very dusty. It has gravel roads, gravel sites and grass/sand otherwise. 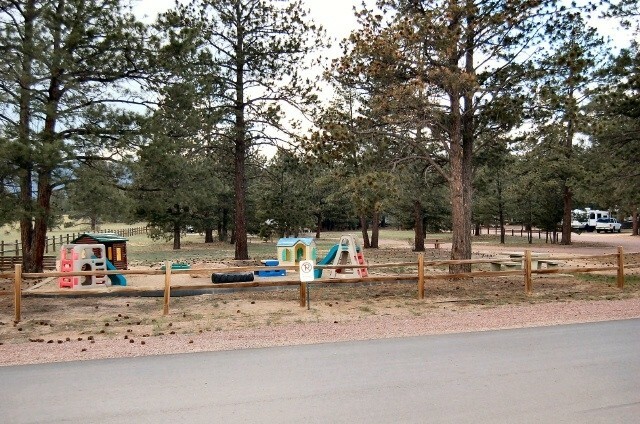 The park is under pine trees so grass can't really grow and, of course, Colorado Springs is painfully dry. Hence all the dust. We stayed a week and when we left our 5th wheel was disgustingly dirty. There is no wifi, but all other utilities were fine. Verizon had a good cell signal. Water pressure is very high. You need a regulator. There are train tracks very near by, but it really didn't bother us. The base is huge! and very scenic. Always look west to Pikes Peak and you won't be disappointed. We would stay there again. 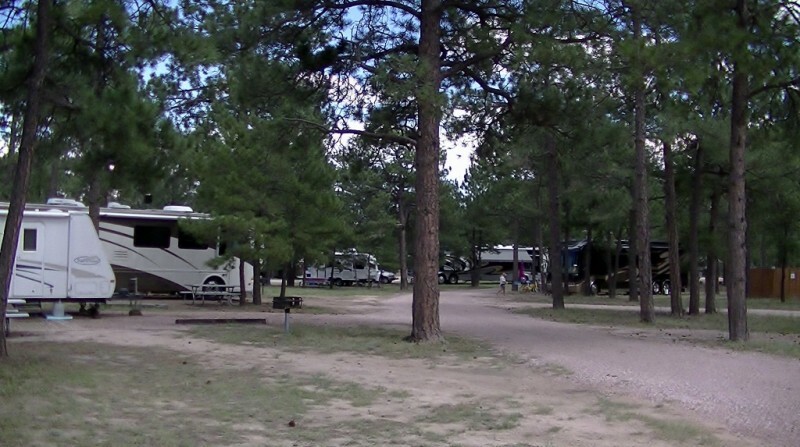 We used to live near AFA and would use the FamCamp for "shakedown" cruises with 3 new RVs. So, we have been around AFA FamCamp for several years. Convenient. We have moved away and now have stayed at AFA FamCamp for extended periods the past 3 years. The AFA FamCamp is a real anomaly. 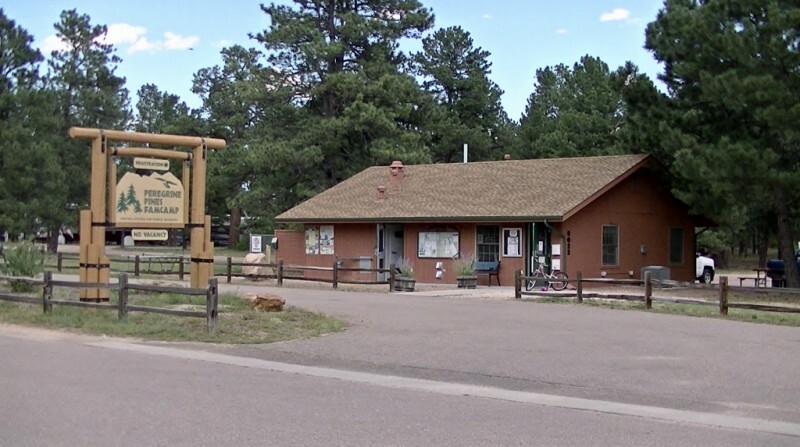 Great location, reasonable rates, staff makes you feel like they are doing you a favor (not particularly friendly, often act overworked, rude on the phone), sites far from level, trees hanging down, and the worst wifi of any RV park of this size. 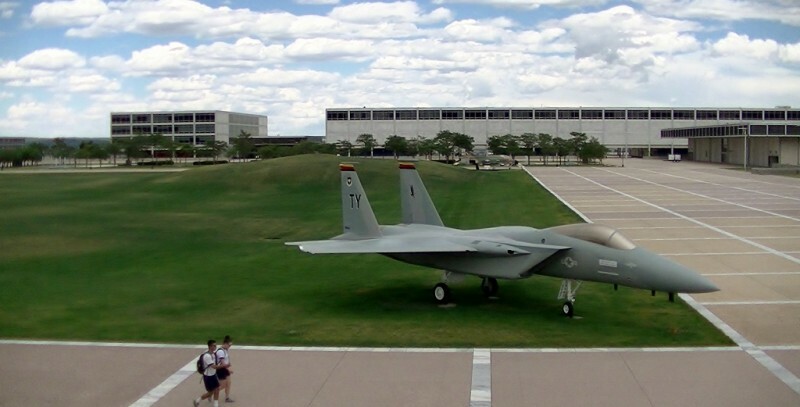 For one of the most technologically advanced organizations on the planet, the Air Force's Academy FamCamp is so 1980s. When Res was made and during check in we emphasized that Res was THROUGH a certain date. On the last day of Res I was called and told we had to vacate the site because our Res was finished. I said no, it is finished tomorrow. They insisted we must leave. I went to office and was told that " when you say Res is through a certain date that is the date you must leave". I explained that through means through. Staff needs training in "customer focus". Wifi should be comparable to any KOA or other large RV Park. Still an all-time favorite of ours. This time we stayed in Site 52 which was very nice and secluded. We will definitely return. Only thing noticed was on weekends, a little more attention could be given to the shower restroom facilities restocking with paper towels and toilet paper. 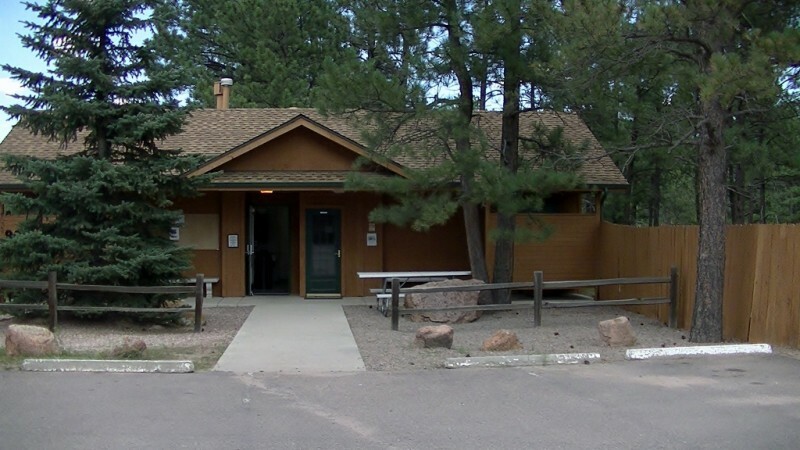 There is much to do in the Colorado Springs area; the Falcon Trail is a great place to hike right on the Academy grounds. The bowling alley has great food for lunch time. Dont want to be too negative, but charging by unit size, and then being crammed into a site too small is ridiculous unit next to me had dogs that crapped without owners picking up. Informed staff member that could careless . If you are going to continuously raise rates, how about some improvements. I guess this revenue stream is felt to go other mwr projects .Too bad, because this is a nice park that could be so much better. Another wonderful stay! Peregrine Pines is our favorite FAMCAMP and we try to spend time here every summer. This was our eighth stay since 2012 and the staff has managed to get us into a great and satellite friendly site every time. Even though they are loud we actually like the trains. Unfortunately the prices went up this year (again). The prices are still far lower than nightly rates in nearby commercial parks, but compared to commercial park monthly rates this FAMCAMP is not as attractive as it was just a few years ago. We will continue to come here because we really like the park, but it's not the bargain it used to be. We also continue to wonder why each year management goes more and more overboard about having everyone read, initial and sign an ever more stringent set of rules about pets, rig washing, number of vehicles allowed at sites, etc. and then does absolutely zero enforcement of said rules??? Not complaining about these rules. They make sense to us, just don't understand making a huge deal about it on check-in and then nothing, no enforcement of any kind. This is a great FAMCAMP and any gripes we may have are just crotchety old folks gnawing on a bone they love. 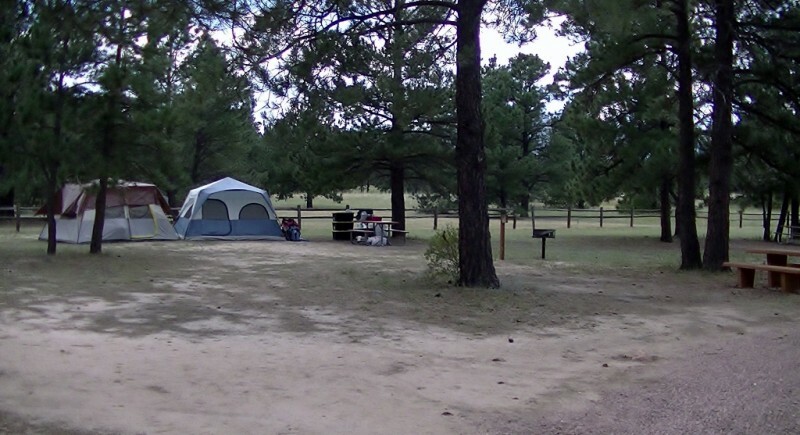 The best thing about this famcamp is that the sites are far enough apart to offer good privacy. The staff is friendly and Colorado Springs has amazing weather in the summer! The negatives is that there is no wifi at the sites. We had to rent a router from the office, $25.00 for a week. Ok and for the absolute worst thing about this famcamp, through no control of their own, is the train noise. I am use trains going by and I even like the sound if it's far enough away, it can be soothing at the right noise level. I don't know where the train tracks are but it wakes me out of a deep sleep to the point that I am startled. It sounds like it is literally right next door and they blow the horn several times a night as they pass the crossing. If you are a light sleeper might want to re-consider this famcamp. 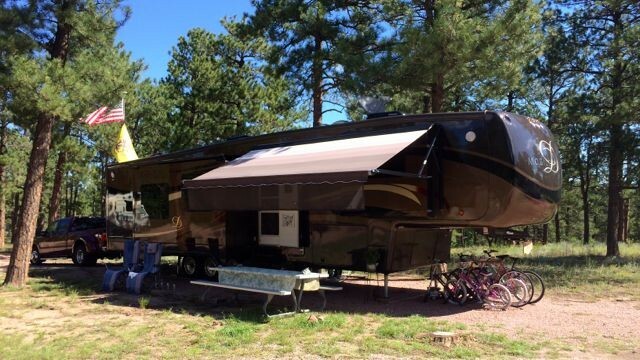 I would stay again because military famcamps are less expensive that regular RV parks. I would have rated it five stars had it not been for the wifi and the darn trains!!!! Jane in office is very customer oriented. Great help with reservations. Trains going by famcamp did not really bother us. Nice rustic setting with plenty of trees, deer and squirrels. Laundry facilities had a broken dryer for the entire 30 day stay. One laundry room was rather expensive for a famcamp. Definitely going back. Site 52 is not satellite friendly. Easy to find once on base. Good sized sites with full hookup. WIFI was supposed to be available around the baths and office but I could never get on line no matter where I was. We were in a truck camper and had a short site very near the bathroom, it had plenty of room. 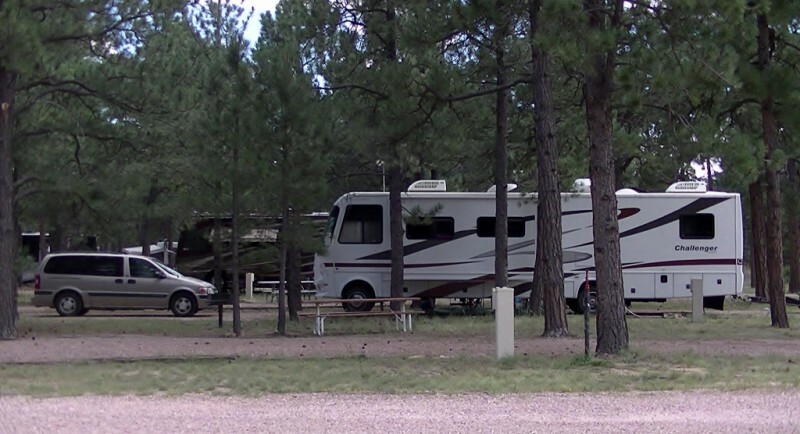 Enjoyed our visit here and will stop again if in the area, overall a very good campground. The beauty of the area was only undone by the sound of the trains all through the night. The surrounding area of the camp is beautiful. The tent sites are very nice. We had a wonderful time through the day but at night it was a total nightmare. The trains made it sound if I were camping directly on the tracks. EVERY HOUR the train passed and blew it horn and then the track noise compounded things. In between the trains was the road noise of the nearby interstate you could hear the drivers hit the rumble strips all night. When the trains stopped it was then rush hour on base and the noise intensified. Funny thing is I never heard the train horns during the day. ONLY AT NIGHT! We were scheduled to stay for longer but we couldn't take the noise and no sleep any longer and cut our visit short. Other complaints: No fire pit. It cost 7.00 a day to rent a fire pit. It was falling apart and it was almost useless to grill or toast marshmallows on. To top it off you have to pick it up and return it when your finished. I don't mind cleaning my ashes but just touching thing made you filthy. The bathrooms were not always the cleanest. I don't blame the staff as much as the guest. I would love to return to the area again but if I do I wont be staying here. Awesome. One of the top three Famcamp's in the DoD. Great staff, friendly, helpful and accommodating. We stayed here 2 nights visiting friends. Advice: Make reservations, cone in the north gate, unhook your road at the office it will make it easier to maneuver in the trees, satellite is spotty so let them know if you want a site that can get a clear sky view. Great cell service. There are no "bad" sites, every me is good. This is an awesome campground. You can't beat the location, the price, or the wooded setting. The sites are all mostly level and pretty easy to get into and there are trees everywhere with playgrounds for the kids. The facilities are a little older but still work just fine. We loved camping here. Possibly our favorite FAMCAMP. If our schedule would allow it, we'd spend a full 30 days here every summer. We've had ups and downs here, but both recent visits were great. FAMCMAP staff were great. Even if rates go up to $30 per night it's still a great value for this area. We find the newly renovated North Gate easier to maneuver through with our 40Ft Motorhome, towing. However, since it's the visitor entrance, the line at North Gate can get pretty long and slow at peak hours. One thing I can't figure out is why they don't do something about the high water pressure. At Crow Creek on FE Warren they have a water pressure regulator on every riser. Municipalities generally regulate their water pressure. It would seem to be a pretty low cost item to put a water regulator on the line incoming into the FAMCAMP. If the overnight spikes the camp staff claims are correct (up to 150psi), I'm sure water pressure into the base housing areas is regulated, as the claimed pressure is above what most house systems are rated for. It is easy enough to use a pressure regulator on ones water line, but RV water pressure regulators are generally not well-made and don't eliminate all risk. The sites are not real level, but we've always been able to level our MH. We ask for a satellite friendly site when making our reservation and staff has always managed to get us into one. I love this the best of all military campgrounds, mainly because of its location in the Foothills of the mountains with many nice hiking trails and other activities right the base. Very well shaded, very well managed and maintained. There is so much to do in the Colorado Springs area that if you get bored, it's your own fault. Garden of the Gods, Seven Falls, Pike's Peak, Cripple Creek (and casinos), Woodland Park and Manitou Springs -- just to name a few. Commissary and Exchange are nice but small, we went to Peterson AFB and Fort Carson occasionally to use the larger facilities. The Academy Bowl on base near the Exchange has the best Cheeseburgers of anywhere. 30 days is the max stay allowed for the summer season, I would stay here all summer if I could, but I can understand the need to limit because of the popularity. You can stay longer for the winter in October after the Navy/AF game.